Jonah was one of only four writing prophets that Jesus mentioned by name during His earthly ministry (Isaiah, Daniel, and Zechariah were the others). But Jonah received more than a mere mention. Jesus actually identified Himself with the prophet's three-day sojourn in the belly of the great fish, noting it as a foreshadowing of His own death, when Jesus would spend three days “in the heart of the earth,” before His resurrection (Matthew 12:39–41). Jesus' identification with the prophet at the lowest point of Jonah's life finds echoes in the book of Hebrews, where it teaches that Jesus “had to be made like His brethren in all things, so that He might become a merciful and faithful high priest” (Hebrews 2:17). The book of Jonah stands as an important link in the prophetic chain, giving readers a glimpse of Christ's death and resurrection hundreds of years before they actually occurred. 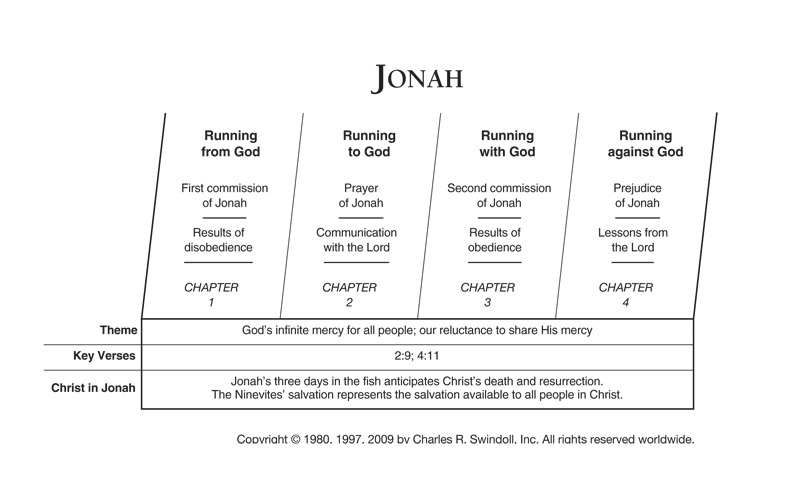 Find resources in the book of Jonah in our resource library.